The team at Bed Bug Laundry and Prep is glad you are here, but sorry you are facing bed bug extermination (or other insect infestation problems). We provide a wide range of services to help you handle the entire extermination process more effectively and with less stress. 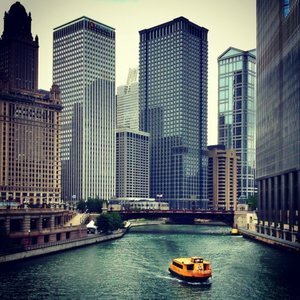 Our discreet pickup and delivery for laundry and dry cleaning comes to you at a convenient time, no matter where you are located in Chicago and neighboring areas. If you need support with preparing your home for extermination using the long list your exterminator gives you, our team of professionals can also help you save time and energy during the bed bug prep process. If you want to reduce the time and effort it takes to get rid of these biting pests, you have come to the right place. Waking up with bed bug bites can be terrifying. You want to know how to get rid of them as soon as possible. We work with your Chicago bed bugs exterminator or pest control operator to more efficiently and effectively rid your home of bed bugs and other types of insects. Bed bugs do not just live in beds. They can thrive in any part of your home including clothing, purses, shoes, bags, draperies, furniture, rugs, and other textiles. That is why it is vital to carefully follow your exterminator's bed bug prep instructions. One of the toughest parts of the job is to deal with all the clothing, both clean and dirty. In addition to de-cluttering, vacuuming, sealing off crevices and cracks in your home, and all the other steps in the bed bug prep process, you must remove any textile items carefully from your home, have them treated for bed bugs, and then stored until your home is free from pests. We are a one-stop shop to help with both prep and laundry. We help our customers be thorough when dealing with bed bugs, because if you fail to kill even one bed bug or its egg, you are at risk for re-infestation. Bed bugs can be tricky to eliminate. But our Bed Bug Laundry and Prep service helps Chicago residents take guesswork out of the complicated process. Comprehensive professional bed bug extermination is made easier with careful preparation of the home prior to any chemical or heat treatments and specialized laundry services for all the linens and textiles in the affected home. We can help you with both bed bug preparation and bed bug laundry services. Heat treatment is the only way to kill all the bed bugs and their eggs that might be hiding in your laundry and textiles. This process requires the use of a high temperature dryer for an extended period of time. Our discreet and diligent support and service assist our clients in killing both adult bed bugs and their eggs by providing in-home pick-up and delivery, customized laundry treatment, and dry cleaning for all the home’s affected items. Then we can provide storage for your items for the duration of the home’s extermination treatment. Working with Bed Bug Laundry and Prep saves you time and work, but may also save you money especially if it prevents a re-infestation. Our bed bug prep and cleaning services will make the chemical treatment your exterminator provides much more likely to be effective in your home, saving you the expense of having to undergo repeat treatments. Additionally, items you might have otherwise thrown away like furniture, rugs, or leather items can be saved by using our heat treatment chamber. Our sterile, dedicated facility is well-equipped to handle this demand, and our machines are serviced after each treatment. We store your items in a separate, eco-friendly, climate-controlled storage facility at no extra cost for the entire duration of the home's pest control or extermination treatment. Our free storage service and high cleanliness level set us apart from other Chicago bed bug laundries. Our Bed Bug Laundry and Prep treatment processes are 100% chemical-free, which is very important to our customers with small children, pets, or health concerns. Please bear this in mind when considering the chemicals your exterminator may recommend for do-it-yourself laundry procedures at home. We pride ourselves on our professional service! We work closely with pest control companies as well as private customers. Trust us with your bed bug prep needs, laundry, dry cleaning and all your textiles while pest control operators treat your home. After we prep your home and remove your laundry for heat treatment, our storage solutions will give you peace of mind while you focus on exterminating the bed bugs.